Arguing that the politics of democracy is inseparable from a notion of dialogue that emerges from conflicting and often traumatic memories, Democracy, Dialogue, Memory examines the importance of dialogue for the achievement of understanding in civil society rather than consensus, so that democratic participation and inclusion can be strengthened. With attention to the importance for marginalized communities of the ability to disclose fundamental ethnic, religious, gendered, racial, or personal and affective characteristics born of trauma, and so cease to represent "otherness," this book brings together studies from Europe, Israel and the United States of literary and visual attempts to expand dialogue with "the other," particularly where democracies are prone to vacillating between the desire to endorse otherness, and political dread of the other. 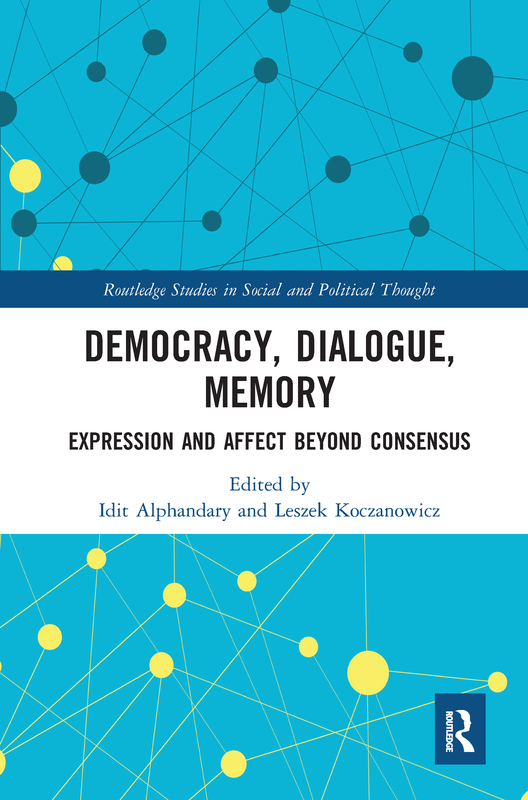 A critique of the practices of forced inclusion and forced consensual negotiation, that seeks to advance dialogue as a crucial safeguard against the twin dangers of exclusion and enforced assimilation, Democracy, Dialogue, Memory will appeal to scholars with interests in political theory, political sociology, collective and contested memory and civil society at the same time as allowing scholars from the humanities and the arts to examine seminal chapters that pivot on psychoanalytical approaches to literature, film and philosophy at the borderline of political thinking.